If you have ever viewed New York City’s Central Park as a swath of nature preserved in the middle of Manhattan, consider this: the park’s “natural” environment–nearly every inch of it–is a carefully manufactured landscape. And far from being preserved, the park was sculpted out of former swamps, rocky ridges, and even pig farms. It took more than ten years, ten million dollars (in 1850 currency) and 20,000 men to create Central Park, but it was worth it to wealthy New Yorkers of the day. They wanted to create a refuge in stark contrast with the increasingly crowded and gritty city around it. Their goal was to establish a civilizing place where New Yorkers could come together, escape the squalid city streets and tenements, and enjoy nature. Concerned about the future of the city, they wanted to uplift and educate immigrants and the lower classes on what it meant to be American. Landscape architects Frederick Law Olmsted and Calvert Vaux were selected based on their idyllic and romantic plans. They called their park design "Greensward," with picturesque "passages of scenery" and places for carriage rides, strolls along ponds, sailboat races - even a 15-acre sheep meadow complete with a herd of pedigreed sheep. When the park opened in 1859, people of all classes dressed up to stroll with their families on the beautiful paths and through the manicured gardens. Central Park offered a much-needed dose of fresh air and nature, as well as a common living room where the immigrants of New York could come together. And though it didn't solve the big problems of the city's poor, it did succeed in providing room to breathe. The success of Central Park set a precedent for other cities; soon, San Francisco and Chicago created their own versions of this natural living room.Frederick Law Olmsted became a park design superstar and found himself in great demand as an architect of civic spaces, parks, and college campuses across the U.S. for the remainder of the nineteenth century. Today, 42 million people visit Central Park's 843 acres each year, enjoying playgrounds, woodlands, museums, walking paths, and a myriad of other amenities. The park stands as the nation's first landscaped park and a model for the role a park can play in a large city's life. 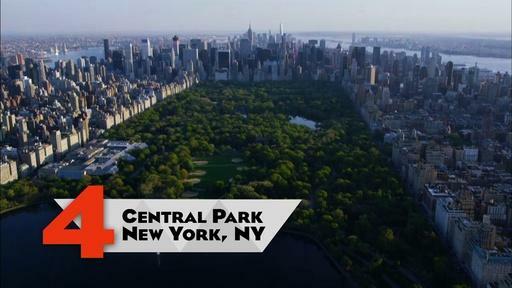 Learn more about Central Park's history. Read about Frederick Law Olmsted. Plan a visit to Central Park. 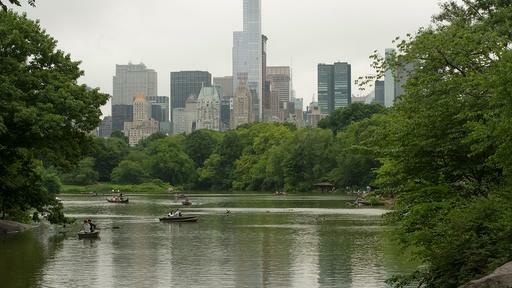 Explore things to see and do in Central Park. Take a self-guided walking tour. Landscape architects Frederick Law Olmsted and Calvert Vaux modelled Central Park on an idyllic and romantic English countryside.